Moon’s In Sagittarius At The Start Of LFW… Fun And Froliks! Check out the natal chart (below) for London Fashion Week 2013, the SS14 shows! It’s looking both beautiful and brilliant for the upcoming bi-annual event, which starts on the morning of the 13th and lasts through till the 17th September. Venus is sitting pretty in the spotlight of the first house, designer-friendly Virgo’s in the area of social groups and organisations, and the entire chart is touched by lovely Libra. A natal chart (a.k.a. a birth chart) is a snapshot of the planetary positions. 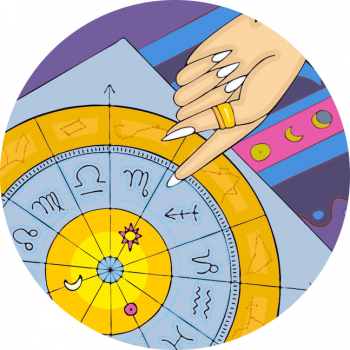 You can produce a natal chart for events in the calendar, including births, marriages, businesses launching – even fashion shows! Just take the time and date of the beginning of the event, and see what you can see – or consult a professional astrologer as your guide. Venus in the first house – the chart is shining a light on beauty-loving planet Venus, with its presence in the area of identity, making this a highly attractive period. Well, how befitting! There could be a superficial charm, lots of air kissing and such, but generally this is a super charming placement. Virgo Sun Sign – that’s right, the Sun’s in in Virgo right now, the detail oriented, natural designer of the zodiac, whether they turn their hand to clothes, cars or cogs. I love that this fashion week falls in the sign of Virgo; this sign is a nit-picker, has an eye for detail and so suits the fashion world no end. Some of the top fashion designers are Virgo’s, and there’s a reason model’s don’t go down the runway with threads dangling off their hems. The Sun’s passing through the area ruling communities and wider groups – the fashion week philosophy is bringing large groups of people together – the fashion community. Isn’t astrology amazing? And accurate! The Cancer Midheaven is creative and intuitive, serves the public and is ever so empathetic. But does it denote extra sensitivity? Quite possibly… There could be tears before bedtime! Jupiter’s not conjunct the midheaven but it’s placement hints that the message of London Fashion Week will go far and wide… Bring it on!! For more Cosmic Collections and zodiac Fashion Finds keep following Star Sign Style!